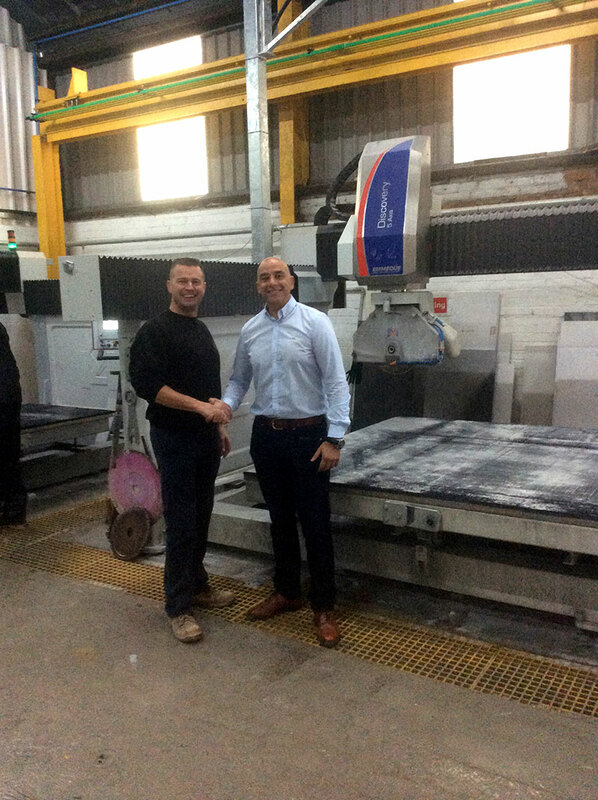 Marble Ideas Takes Their 4th 5 Axis Emmedue Saws Within a Year! Steve buck owner of Marble ideas knows a great machine when he sees it, this guy has been in the business over 30 years and knows his stuff, Never one to be left behind he has taken 4 of the Emmedue 5 Axis machines over the space of 10 months. For more information on the Emmedue 5 Axis Machine please click here.